Are you currently on the market for 9mm self-defense ammo that you can use for defensive purposes? You see, the 9mm ammunition that you choose to use for defense needs to be separate from the practice ammo that you would use for the range. This is because practice full metal jacket ammunition lacks the necessary ballistics to be an effective man stopper. 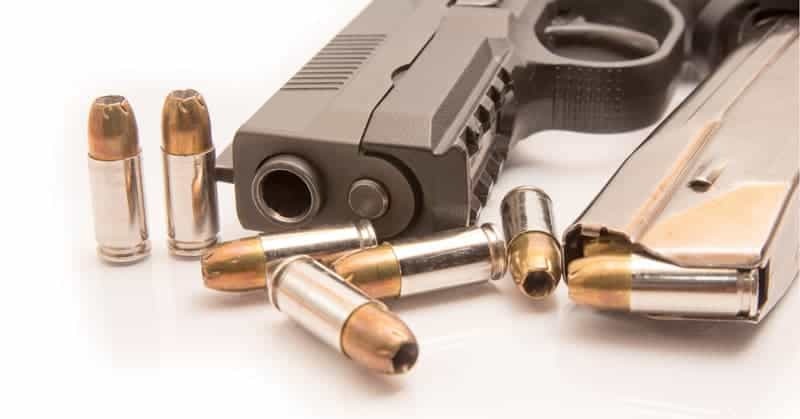 In this article, we will discuss the best 9mm ammo for self-defense, and the testing procedure used to evaluate that ammunition as well as some tips on what to look for in the best 9mm ammo for defense. Based on the above testing procedure, the following makes and models of 9mm self-defensive ammunition were tested. Let’s go over the results of the ammo tests next. 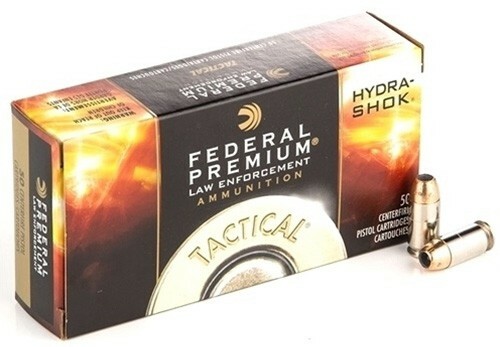 The Federal Hydra Shok is one of the most well known types of defensive ammunition on the market, including for 9mm. Average bullet velocity from these rounds came out to 1,054 feet per second, with an expanded diameter of .44 inches and average bullet depth of 19.4 inches, which more than acceptable for defensive uses and exceeds the FBI standards. 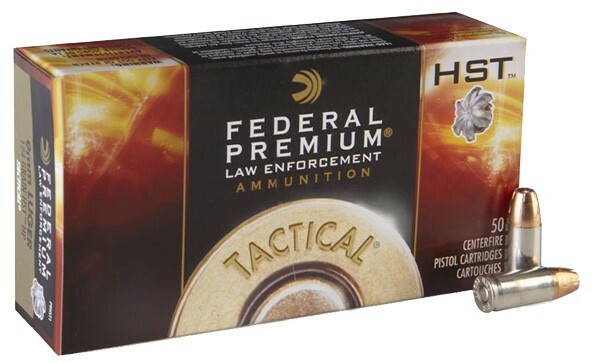 Another popular defensive offering from Federal, besides the Hydra Shok loads, is the HST loads. As with the Hydra Shok, the HST 147 JHP 9mm rounds met expectations for a defensive round, with an average expanded diameter of 0.61 inches, bullet velocity of 969 feet per second, and an average bullet depth of 14.7 inches. The Hornady Critical Defense line of self-defensive ammunition is some of the most well known self-defense ammo in existence. What specifically makes the Critical Defense ammo so unique is because of the red Flex Tip bullet, which has a red polymer insert to (hopefully) ensure superior expansion. 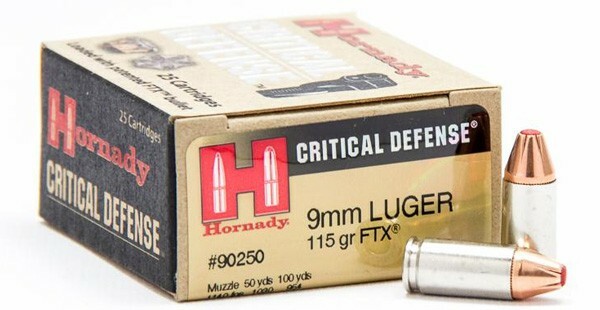 Based on the results, the Hornady Critical Defense 115 Grain FTX round reached an average bullet depth of 13 inches, with an average expanded diameter of 0.5 inches and bullet velocity of 1,140 feet per second. 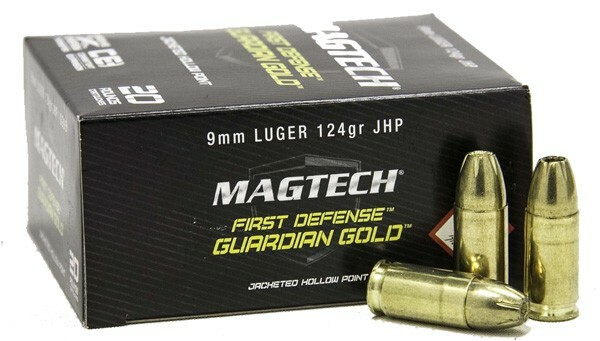 The Guardian Gold line of ammunition is the premium defense ammunition from Magtech, and it’s also designed to be an affordable option as well and therefore is priced at a lower price point than some of the other options in this list. The median bullet depth of the Magtech Guardian Gold 124 grain JHP ammunition reached 20.8 inches in bullet depth with an average expanded diameter of 0.35 inches and a bullet velocity average of 1,055 feet per second. 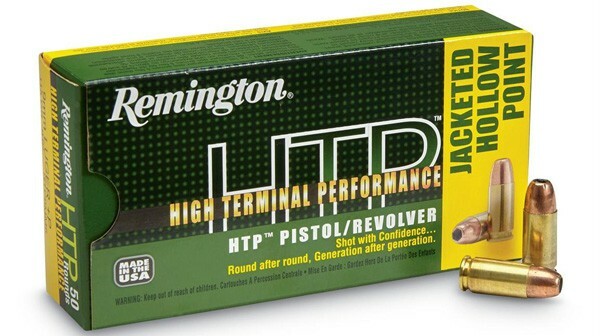 The HTP is designed to be boxer primed non corrosive, brass cased, and reloadable ammunition from Remington. The average depth of penetration for the Remington HTP 115 Grain JHP came in at 14.5 inches, with an average expanded diameter of .562 inches, which is just under 1.6 times the original diameter. Bullet velocity average was an average of 1,145 feet per second. 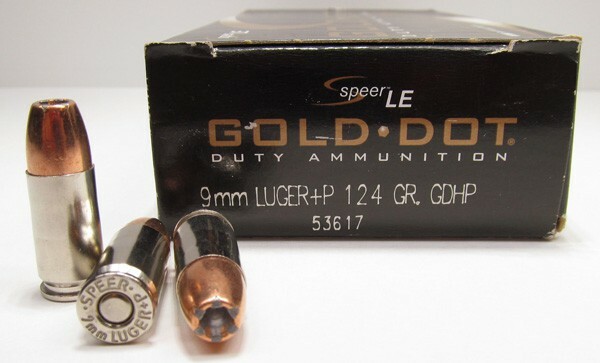 The Speer Gold Dot is an attractive and unique option for self-defense as well as it comes loaded with bonded core bullets for superior defense. Bonding the core of the bullet simply means eliminating the core jacket separation, which should result in superior weight retention. The average bullet depth penetration of the Speer Gold Dot 124 Grain JHP is 16 inches, with an expanded diameter average of .53 inches and a bullet velocity average of 1,142 feet per second. 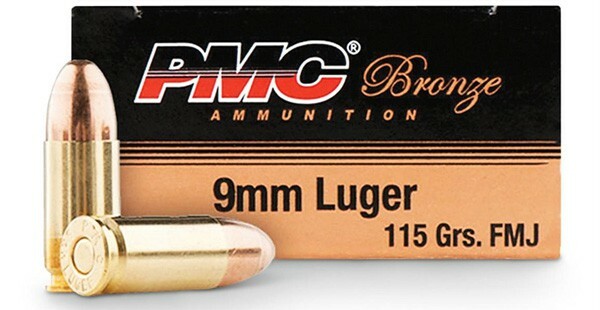 Last but not least, these full metal jacket 115 grain 9mm rounds from PMC are the only target rounds for practice purposes on this list. Subsequently, they have superior penetration but inferior expansion in comparison to jacketed hollow point defensive rounds. These rounds have an average muzzle velocity of 1,150 feet per second. There is no data on the specific expanded diameter or bullet depth as a gelatin test was not conduced on these rounds. Next, let’s discuss a basic guide to choose the best 9mm ammo for self-defense based on the tested results. Here’s a basic rule to remember: pistol caliber ammunition is naturally underpowered in comparison to rifle calibers, as they deliver less muzzle velocity, expansion, and penetration. This is why hollow point ammunition, generally speaking, is much superior to full metal jacket ammunition for self-defense. Hollow point ammunition is designed to expand upon impacting soft tissue. The expansion will cause the bullet to deform and expands its size, to create a larger round to stop your attacker. Furthermore, expansion will also prevent over penetration, which means that the bullet could pass through the attacker and cause collateral damage, or perhaps even injure an innocent bystander. Since practice ammo such as FMJs achieves great over penetration and very limited expansion, it is not the ideal load to use for self-defense. Weight retention refers to the ability of the bullet to remain in one single piece while it travels through tissue and other barriers. One reason a bullet may fall apart upon impact is if the bullet core separates from the jacket. Other kinds of bullets are actually designed to break apart upon impact, especially in rifle loads. A bullet will cause more damage if it remains in one piece and creates a larger wound channel, and most of the above rounds we’ve covered did not fragment apart upon impact. This refers to the size of the wound that is created. The larger the wound cavity, the more flesh and internal organs are disrupted to create a much larger chance of stopping the attacker. In addition, as we discussed previously, bullets that expand like jacket hollow point bullet will create a larger wound cavity. In other words, the wound cavity is basically the tunnel that is created by the bullet as it travels through the gelatin. Researchers have long believed that, since pistol caliber ammunition is naturally underpowered, the wound cavity created by a handgun round will not lead to any lasting wound effects. Rifle bullets travel at a higher velocity and also create a much more larger cavities, including in tissue that is not enough touched by the bullet. Handgun rounds lack the ability to do this, which is why you want a round that will expand as much as possible to create as large of a wound cavity as possible. Bullet penetration refers to how far it travels in the gelatin or target upon impact. According to the FBI, a penetration range of 12-18 inches is considered optimal. Any less than 12 inches, and the bullet may not travel far enough to stop an attacker, and over 18 inches means that it can result in collateral damage like was discussed above. This is why any defensive 9mm ammunition that you choose needs to be in the 12-18 inch range when it comes to bullet penetration. Ideally, the penetration range will be around 14-16 inches, because if it’s any lower than that the bullet may not be able to penetrate through heavy layers of clothing before it reaches the flesh and internal organs of an attacker in a true life-or-death self-defense situation. In conclusion, the data proves that there are a great variety of 9mm self-defensive hollow point loads that are suitable for self-defense. Even though there is no one bullet that clearly ranks above all the others, any one of the offerings that we have covered here today will be a suitable choice for self-defense. So long as you find a self-defense 9mm round that meets adequate expansion to create a larger wound cavity, bullet penetration, and has proper weight retention so it won’t break apart upon impact, it will be a good choice for defense. 9mm vs .40 S&W: Which is Better? Centerfire VS Rimfire Ammunition: What is Difference?